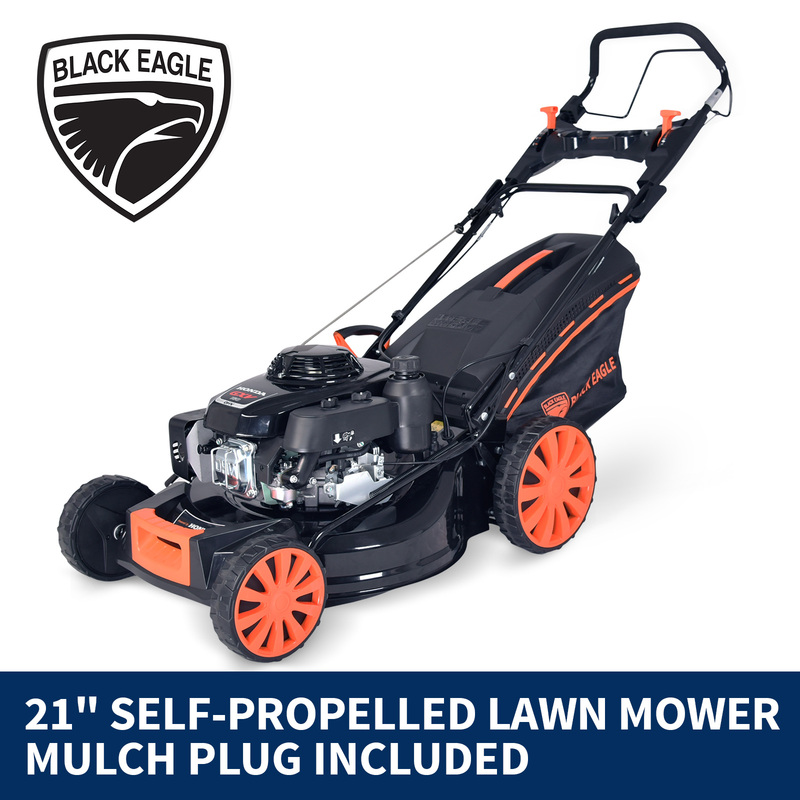 Give your lawn a fresh, clean look with this powerful self-propelled mower from Black Eagle. 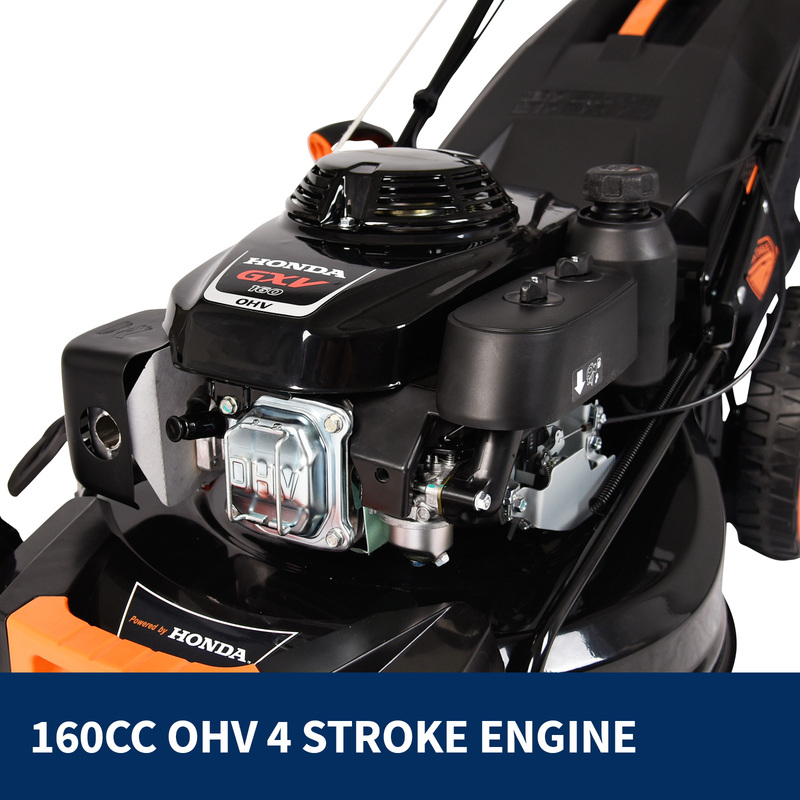 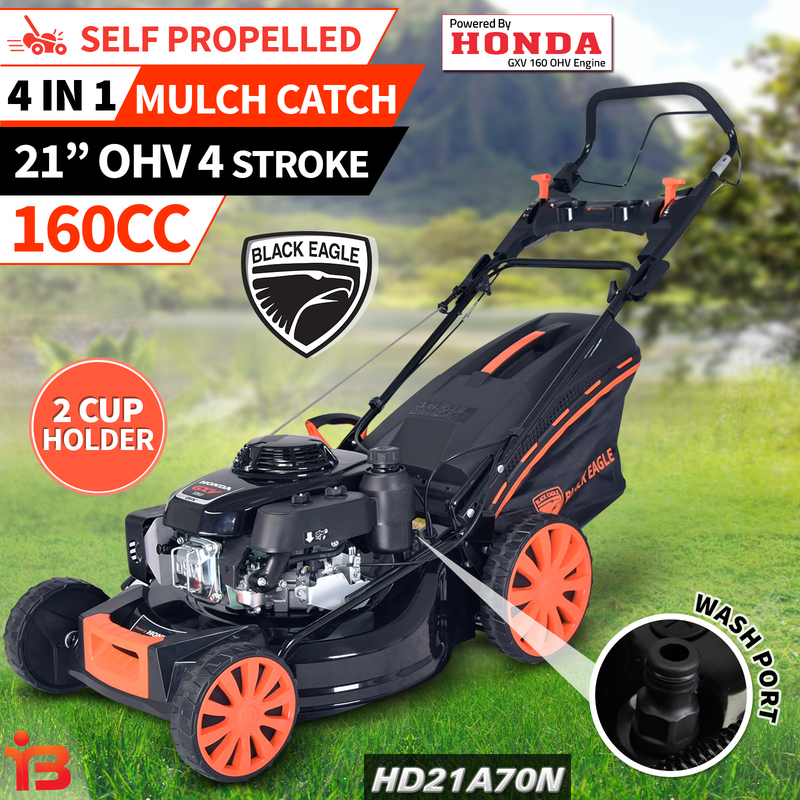 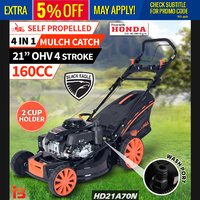 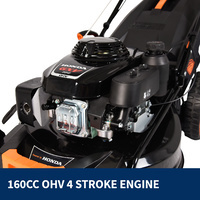 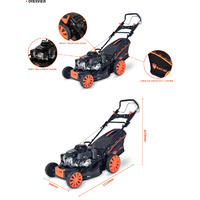 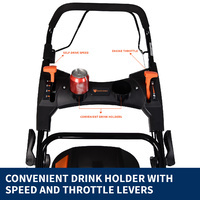 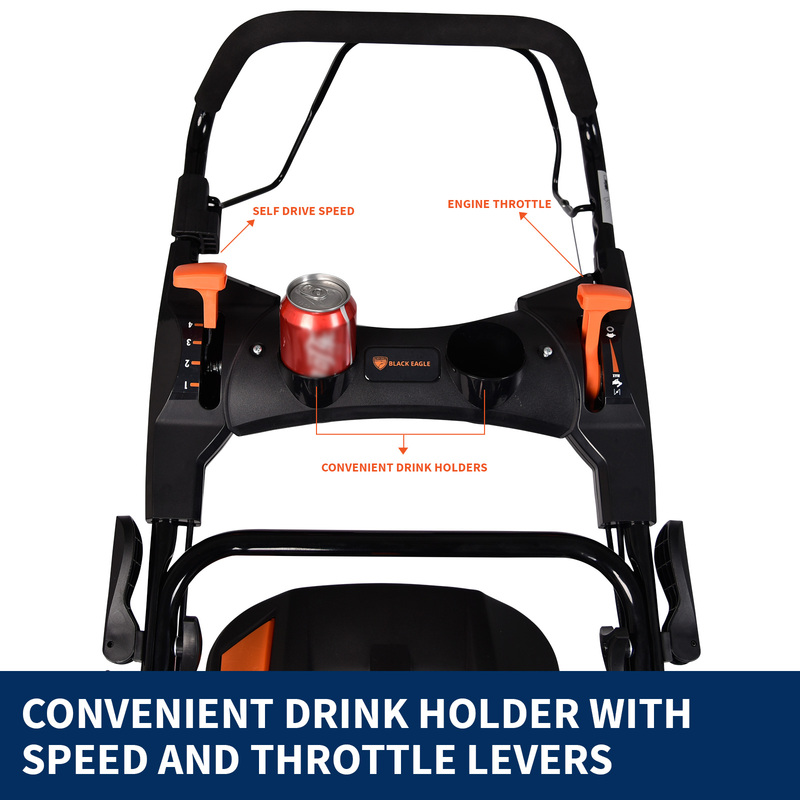 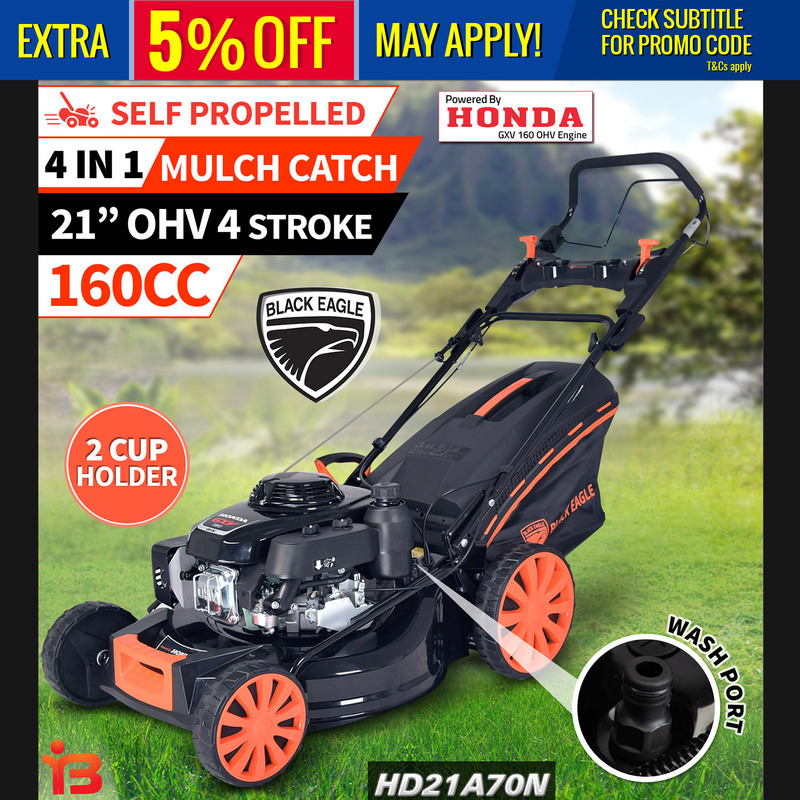 It comes complete with an air-cooled 160cc 4-stroke Honda GXV160 OHV engine and 21” deck to cut through the toughest and longest of grass. 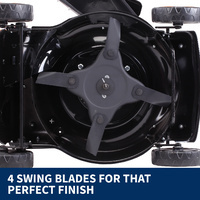 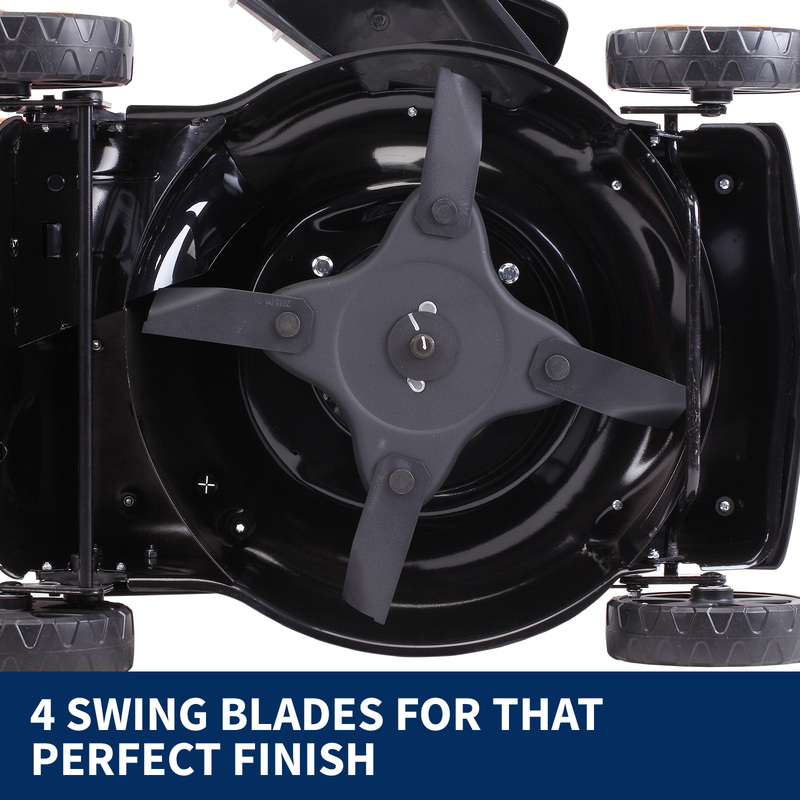 The 4 swing blades give you a cutting width of 510mm and an adjustable 6-level height of 25-75mm. 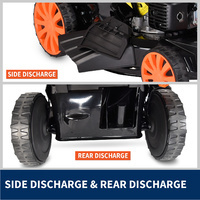 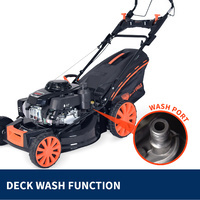 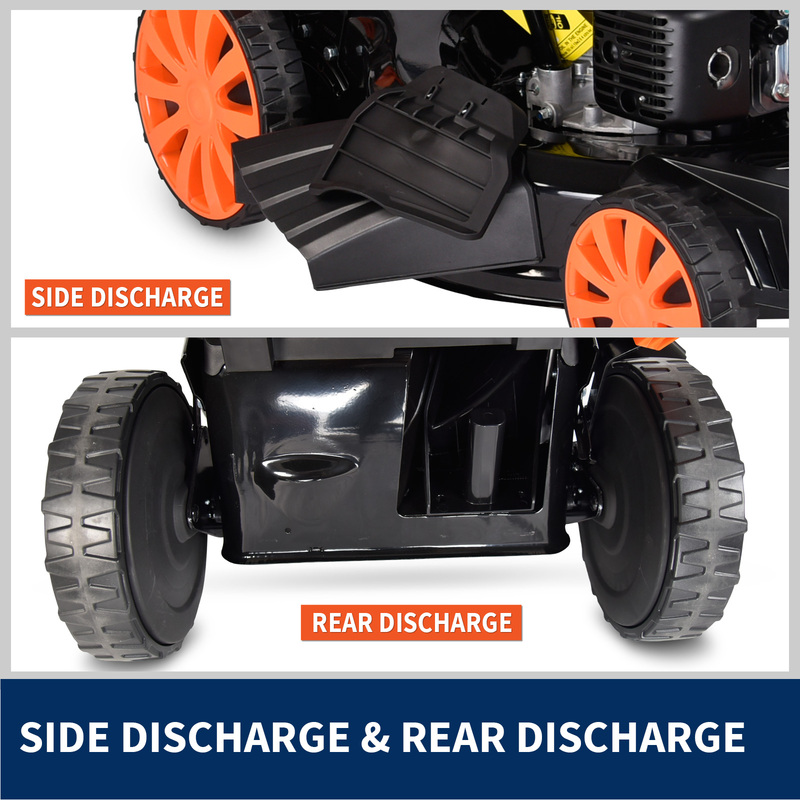 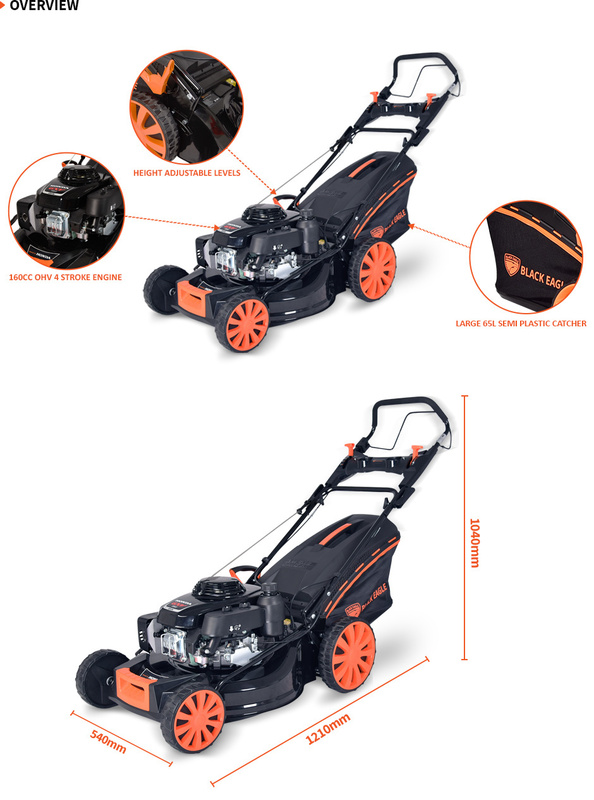 To give you a hand in lawn maintenance, this mower also has a 4-in-1 collecting, mulching, side & rear discharge function. 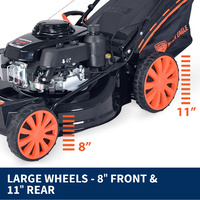 For added grip and ease of handling when cutting long grass or against slopes, this mower has 11 inch rear, and 8 inch front wheels. 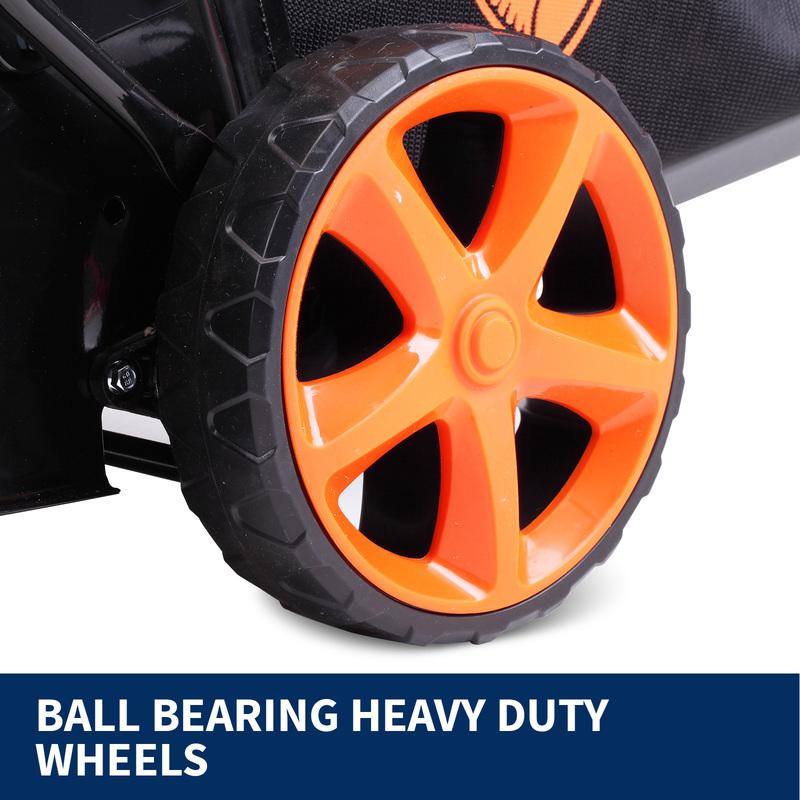 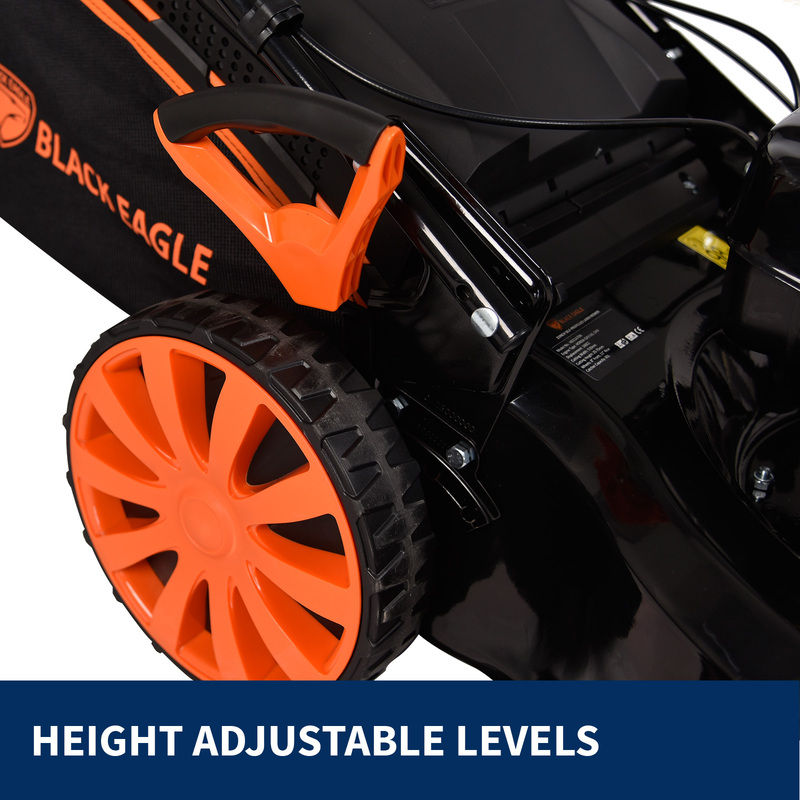 The wheel size, together with the soft grip handle and powerful engine makes for crisp, easy handling and an altogether pleasant and satisfying experience. 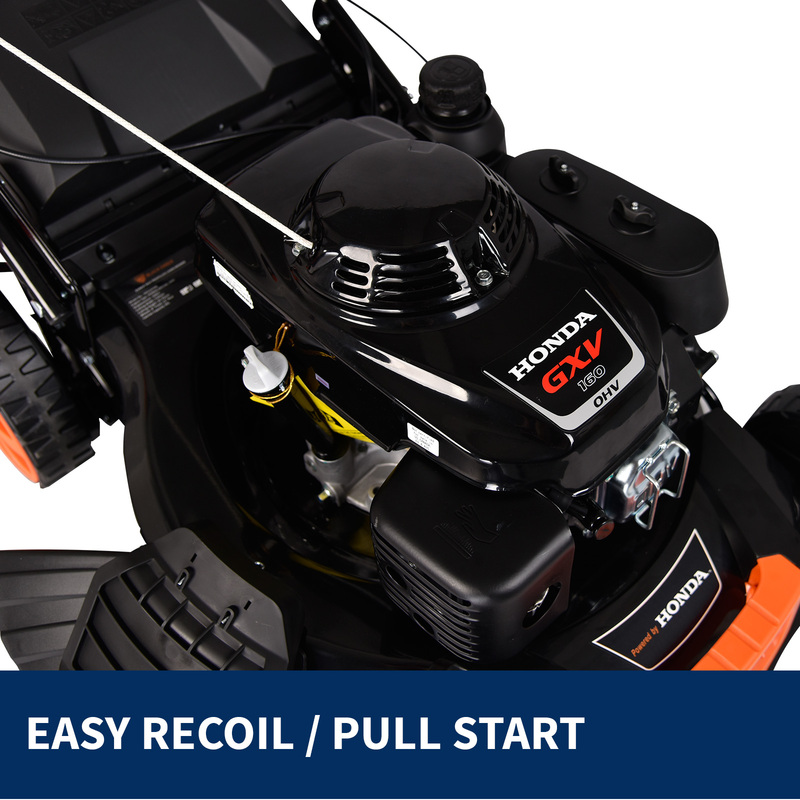 It has an easy start recoil / pull start system and a generous fuel tank capacity of 1.4L to reduce fill up times. 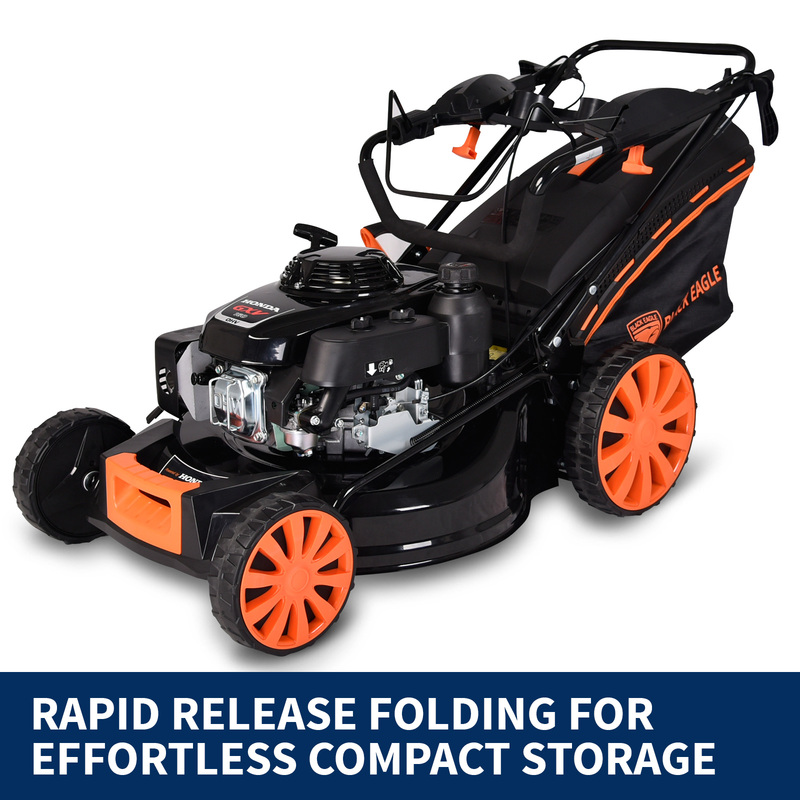 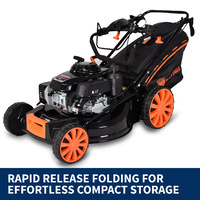 For added peace of mind, this durable self-propelled mower is also CE, GS and EMC certified. This high-quality mower from Black Eagle will boost your enthusiasm for garden maintenance. 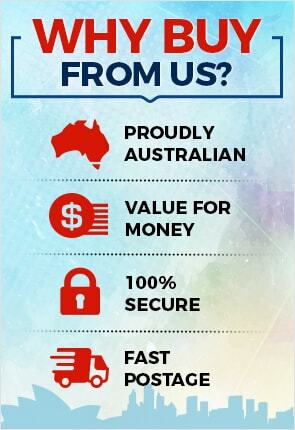 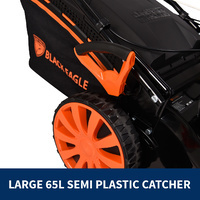 As an added bonus, you’ll also receive a 65L mesh & plastic hard top grass catcher as well as a one year warranty. 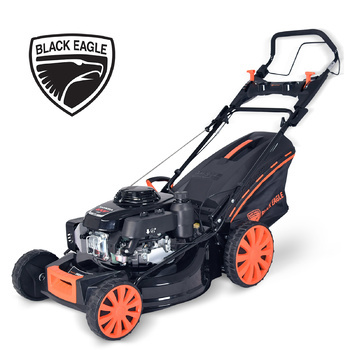 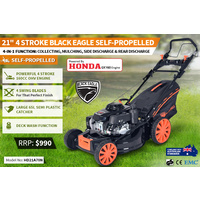 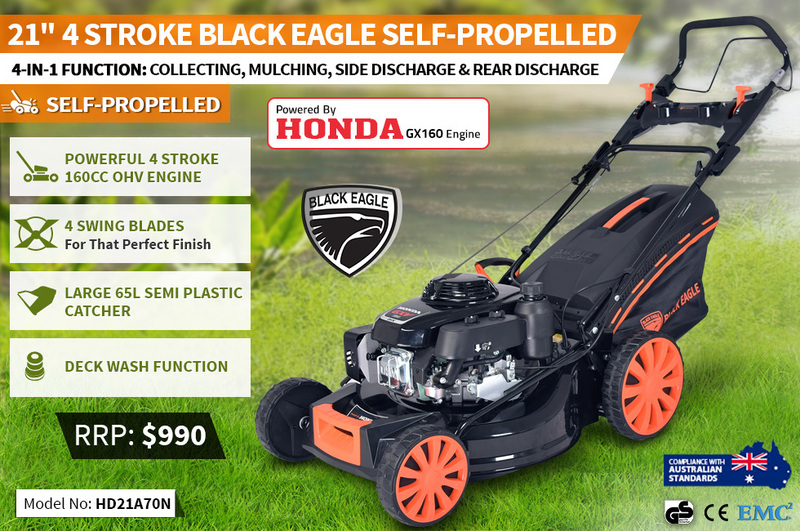 Get your Black Eagle self-propelled mower today!